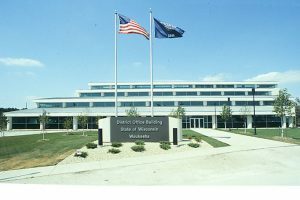 This 100,000 square foot district office building was built near the downtown business area to consolidate several agencies of the State. The building contains three floors of office space with a fourth floor used for mechanical equipment storage. A four-story vertical light well divides the building providing natural light to interior spaces and serving the main building lobby and circulation area. 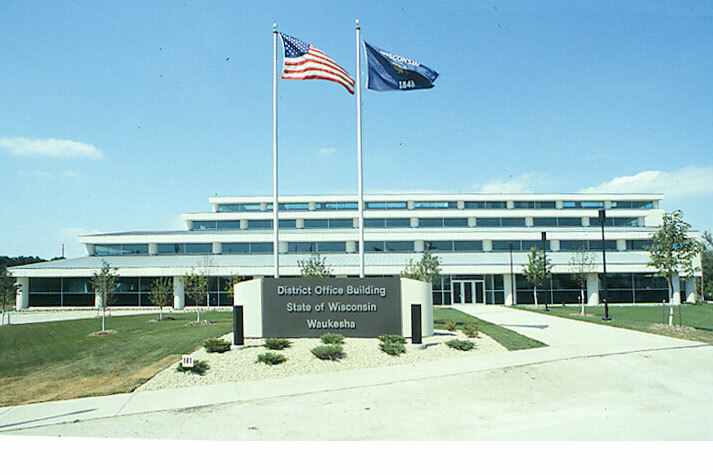 The building employs several innovative saving concepts including heavy use of daylighting and automatic dimming, a system of incremental water source heat pumps and a total building management system which monitor’s building performance.